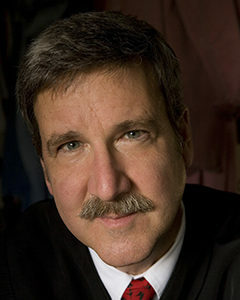 Judge Karnow was appointed to CJEO by the Supreme Court in 2015. He has been a judge of the San Francisco County Superior Court since 2005, where his judicial assignments have included complex litigation and presiding judge of the appellate division. Judge Karnow has served on the Chief Justice of California’s Your Constitution: The Power of Democracy steering committee and on the Judicial Council’s Leadership Group on Civics Education and Public Outreach, Case Management System Operational Advisory Committee, Technology Advisory Committee, as well as on task forces and working groups for appellate divisions rules, electronic discovery, e-filing, and electronic access. Judge Karnow has written on judicial ethics for the California Judges Association and is a frequent contributor to legal news, law review, and bar association publications. He has been an adjunct professor at Hastings College of the Law and a law school lecturer at Stanford, New York University, Yale, and the University of San Francisco.